Translated into plain language, what does this mean? It means that the new Trump Administration plans to continue the Obama Administration practice of delaying implementation of selected provisions of the Affordable Care Act by adopting “non-enforcement” or “delayed effective date” policies for requirements that are considered to be burdensome by the Trump Administration. Such agency action is designed as a short-term pause until Congress can enact legislation to repeal and replace the Affordable Care Act. The most obvious political targets for non-enforcement are the individual mandate and the employer mandate, but this executive order also potentially extends to burdensome compliance requirements, most notably the Form 1094/1095 reporting requirements for employers who sponsor insured or self-insured group health plans. Employers can expect a flurry of regulatory announcements once the Senate confirms President Trump’s Cabinet level positions for the Secretaries of the Departments of Health and Human Services, Treasury, and Labor. 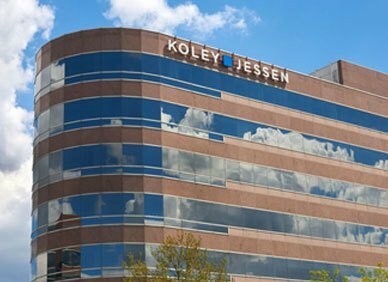 The Labor Employment and Benefits attorneys of Koley Jessen are closely monitoring proposed legislation and related regulatory developments. New legal requirements are likely to give our clients greater flexibility and more options in providing health insurance coverage to their employees. As events unfold, we would welcome the opportunity to work with your plan’s insurer or service provider to analyze and successfully implement plan amendments designed to take advantage of changes in the law.